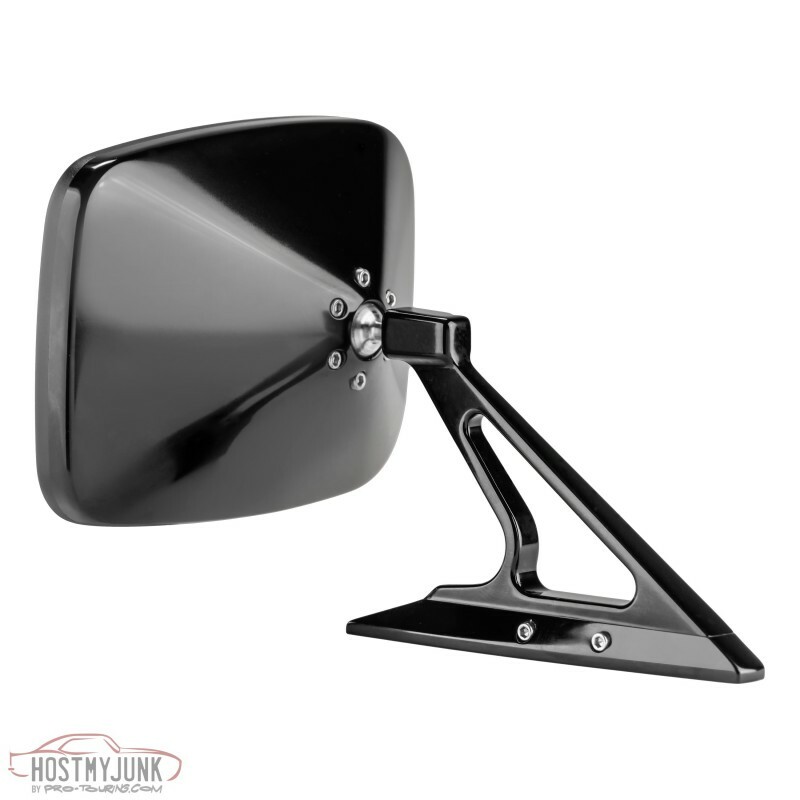 These mirrors have been designed with the goal of mixing style, elegance and functionality. 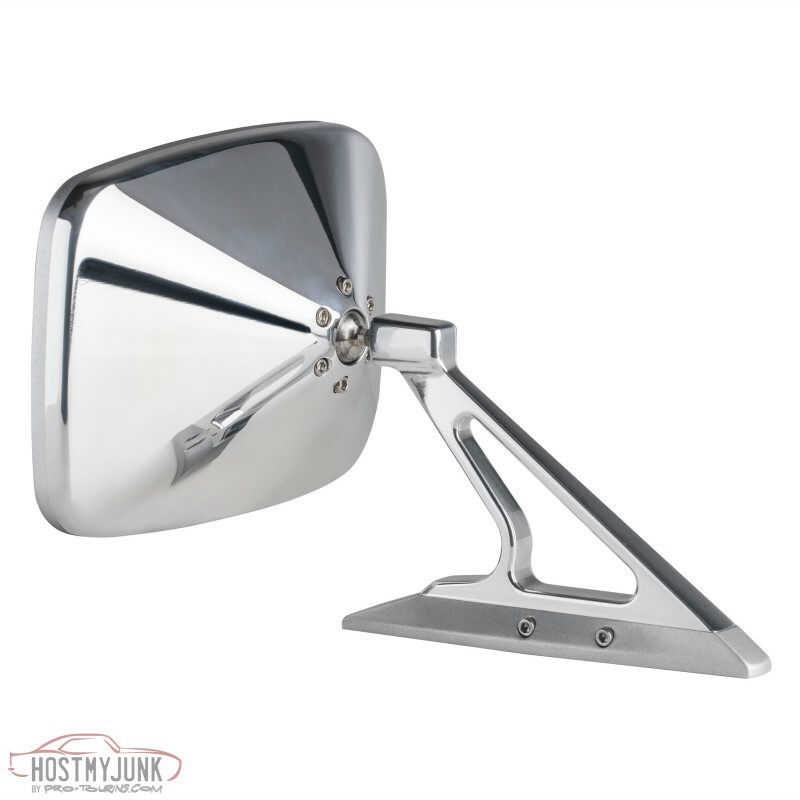 Using 6061-T6 aluminum we crafted these mirrors to out perform any original factory mirror with utilizing Convex Glass, the amount of articulation, style and with the ability to tighten the tension on the pivot ball. 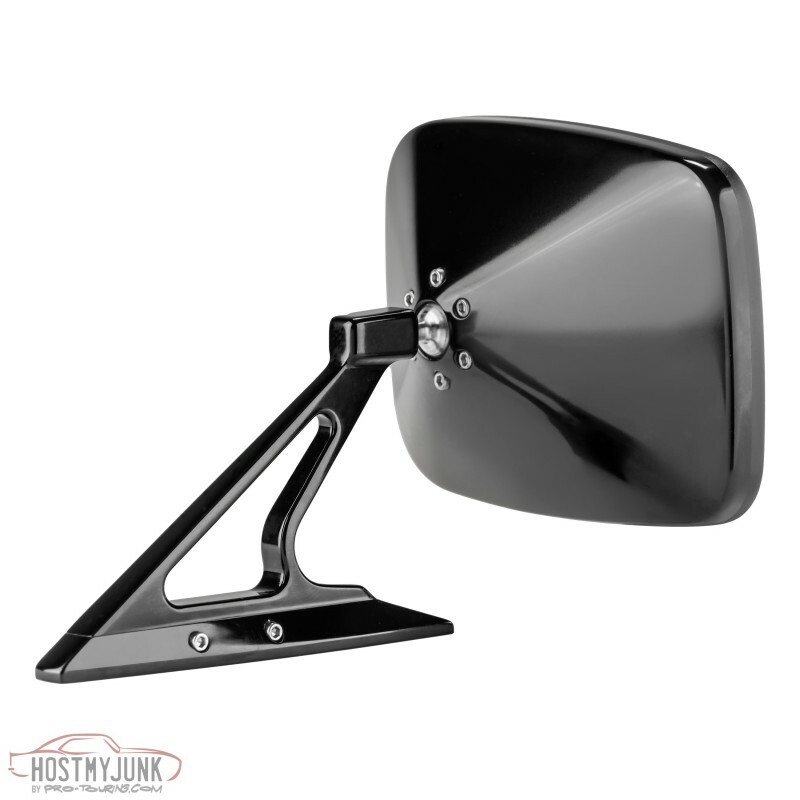 You will no longer need to readjust your mirrors after shutting your door or when you drive faster that 30 mph. 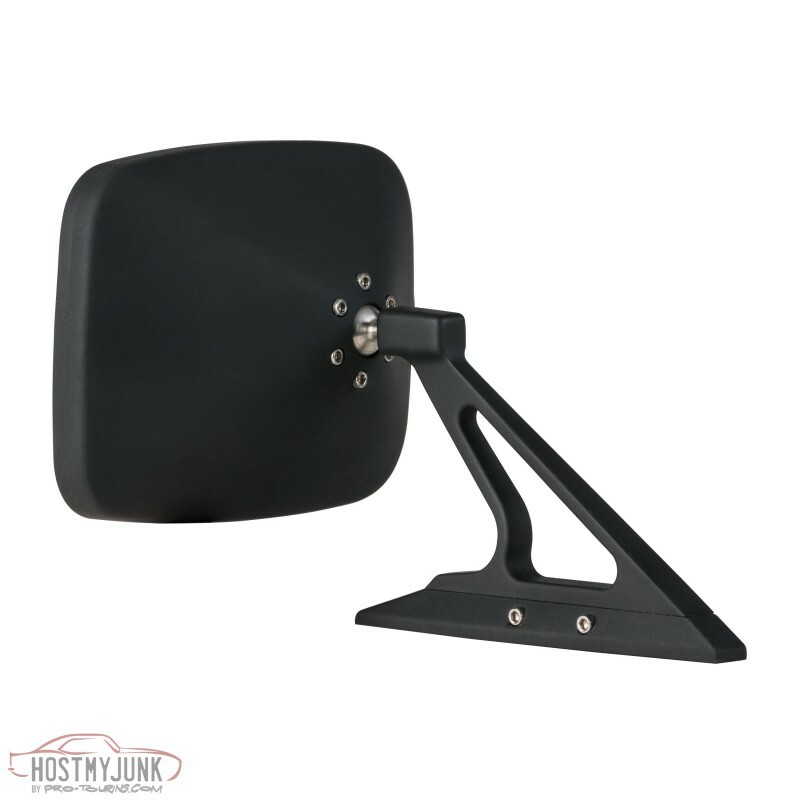 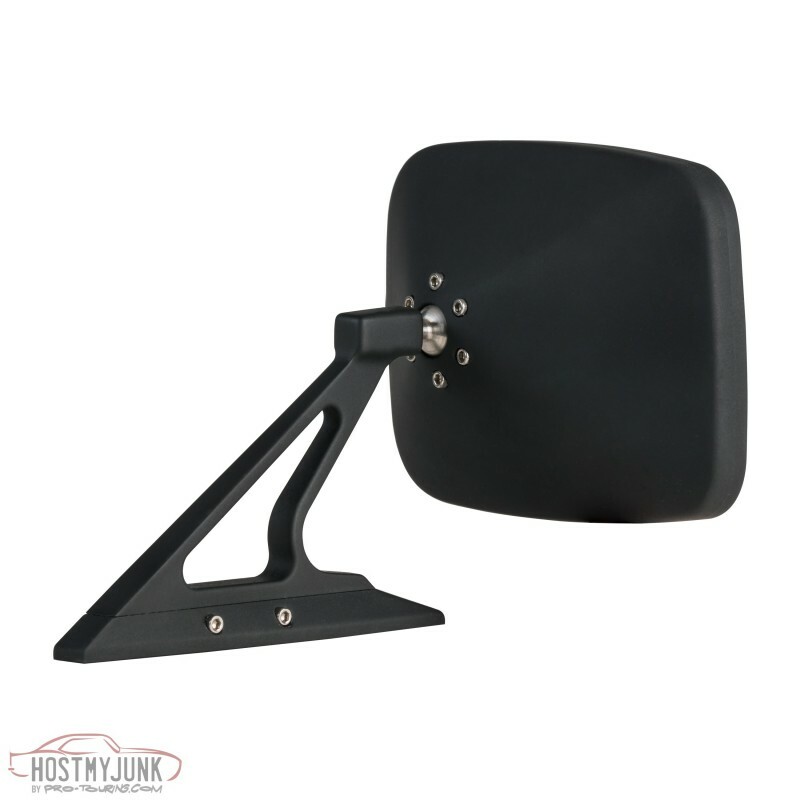 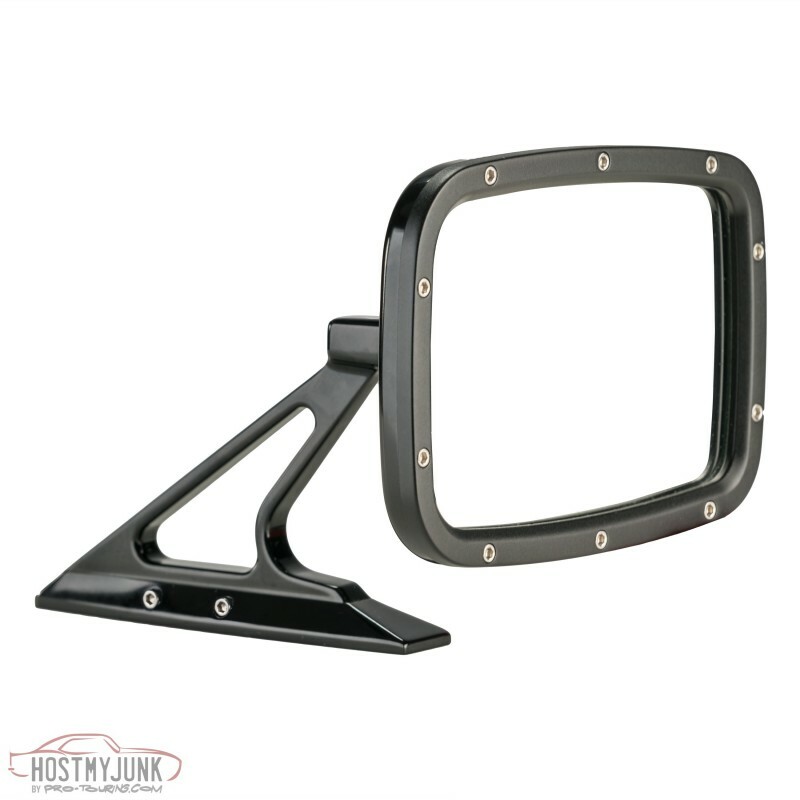 This mirror will fit almost anything and is designed to adapt to any car with a stock mounting hole distance of 1 1/2"-2 1/2" between the door mounting holes. 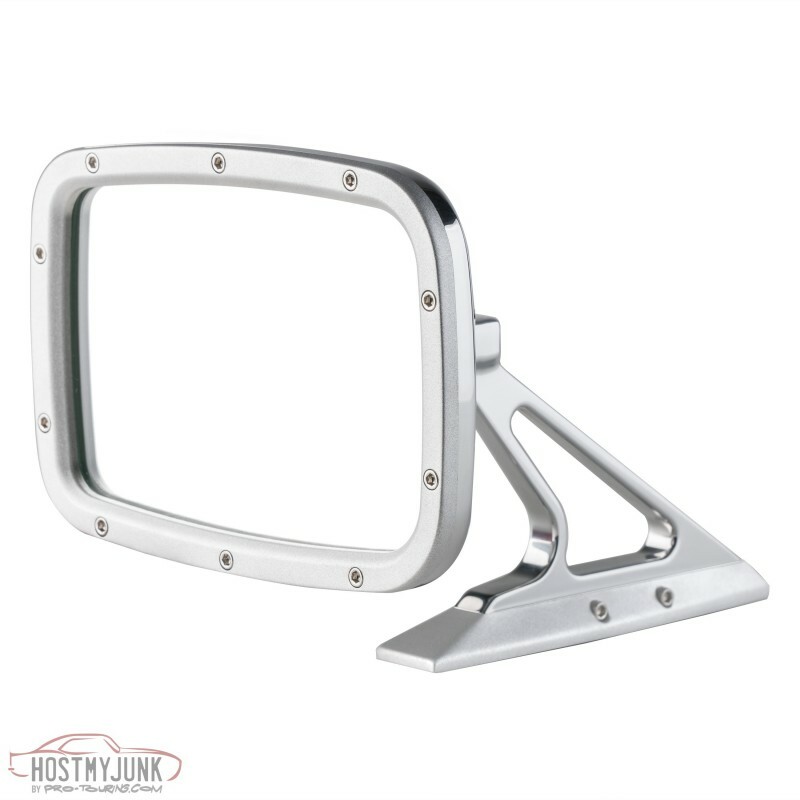 The Billet Rides Mirror was also crafted to eliminate your factory mounting brackets while utilizing your factory door hole locations. 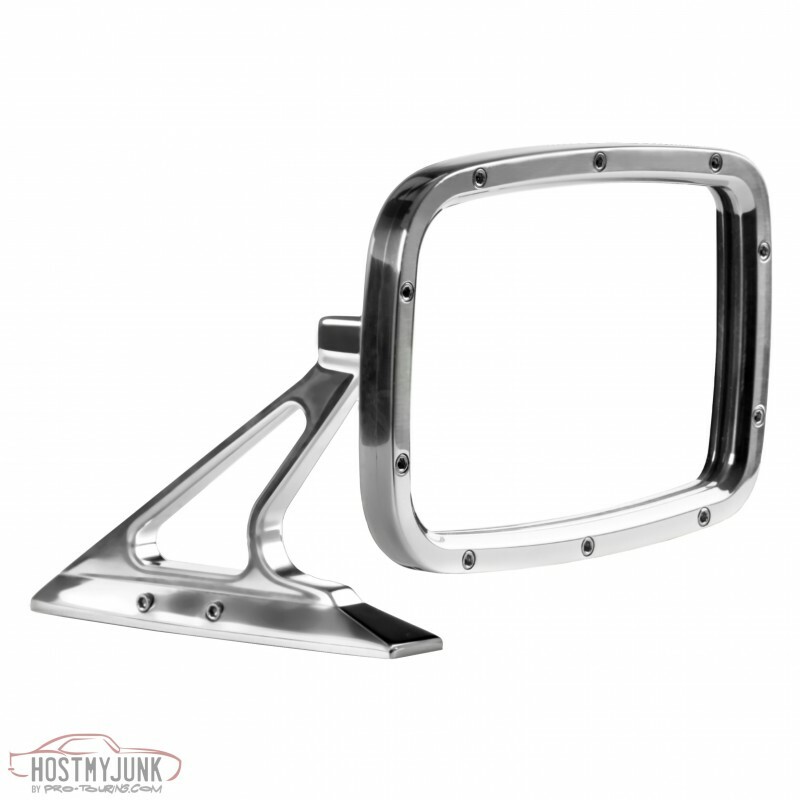 All of the mounting holes for the 67-69 Firebird/Camaro, 64-72 GTO/LeMans/Tempest, 64-72 Chevelle/El Camino/Malibu and 63-65 Nova, were analyzed for fitment and they will also fit all other GM cars built from 1960-1974. 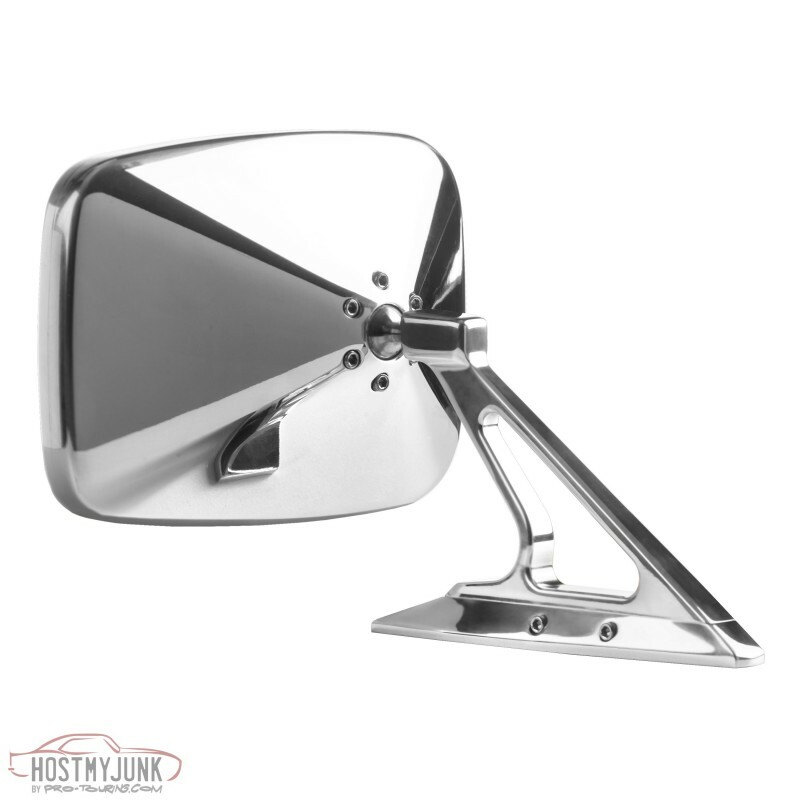 These mirrors are not limited to just GM vehicles and will work on anything with the correct hole distance from front mounting hole to back mounting slot or if you custom drill your doors to fit and use our base to cover the existing holes. These mirrors have been purchased and mounted on the following cars: Riviera, Skylark, Buick GS, Cutlass, 442, Malibu, Corvair, Bonneville, Catalina, GTO, Firebird, Camaro, Tempest, Grand Prix, Monte Carlo, Catalina, Impala, Mustangs, and many others!!! 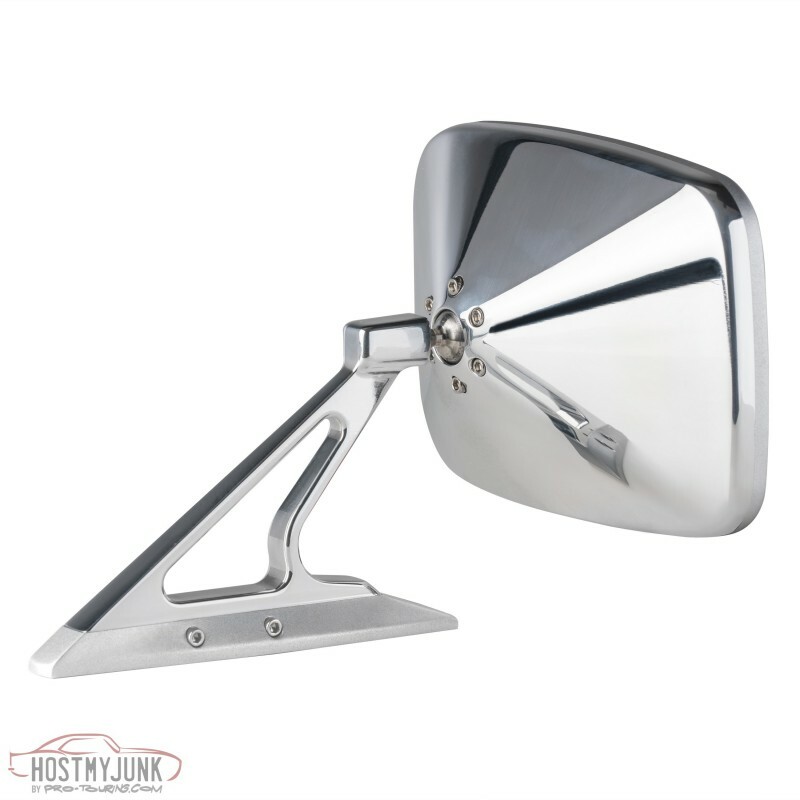 These mirrors have been designed for one model to fit both sides, they are not side specific!! 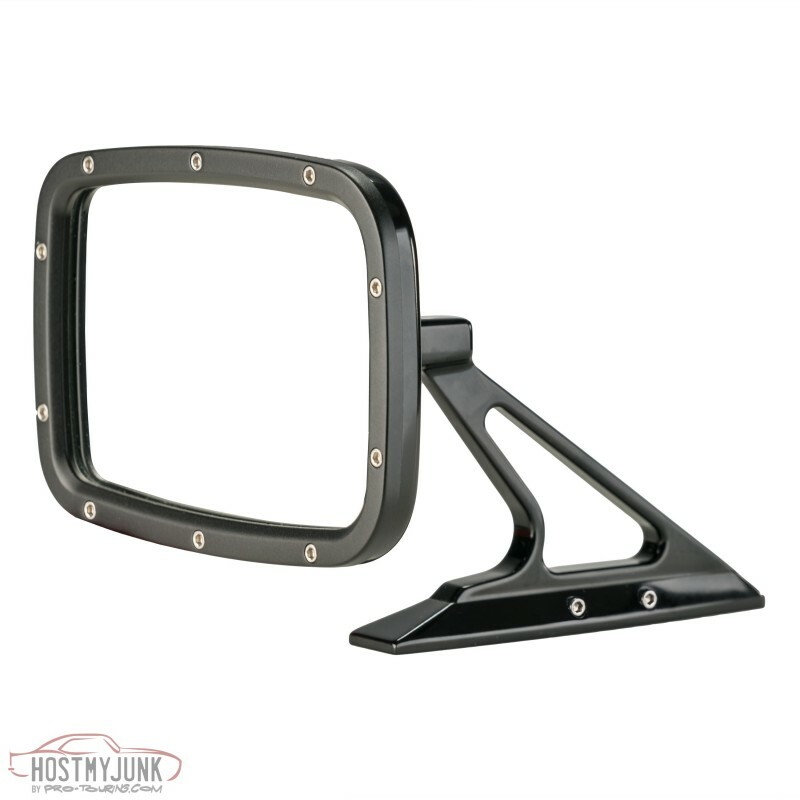 After machining, these mirrors are polished to a perfect finish, glass beaded for a two-toned brushed look or anodized black. 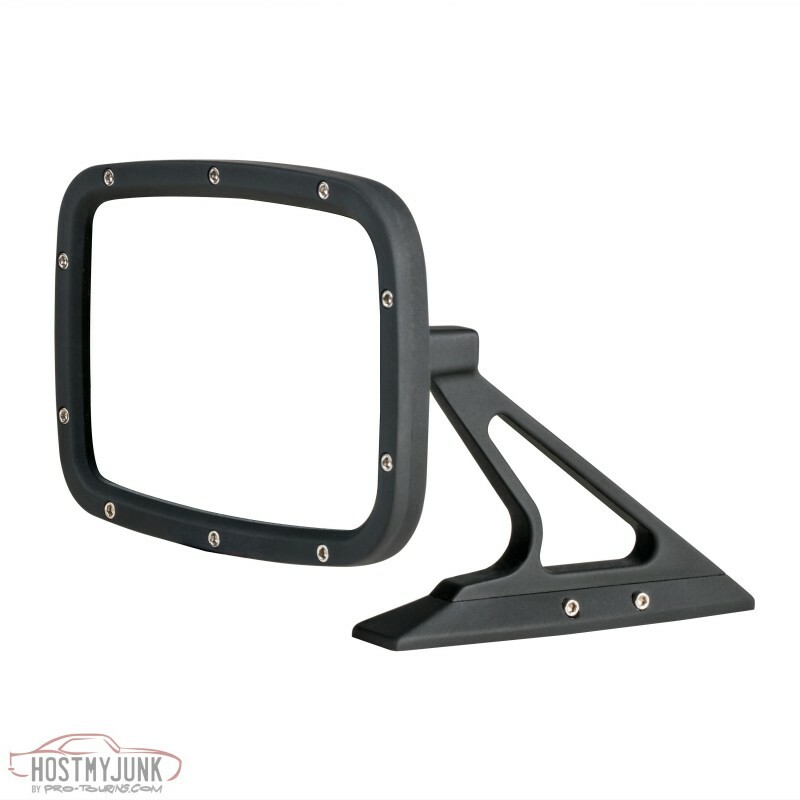 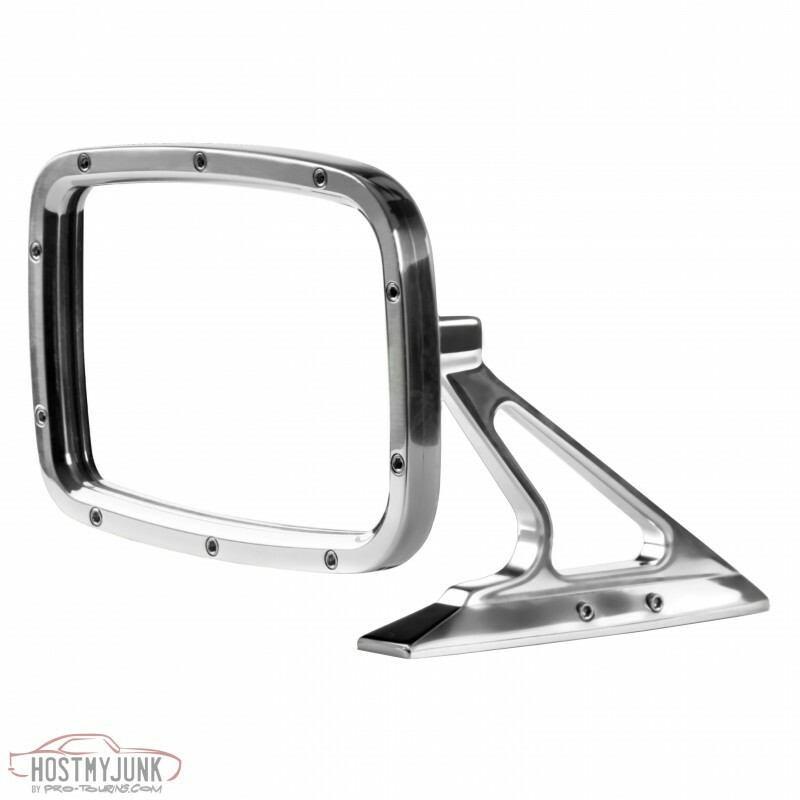 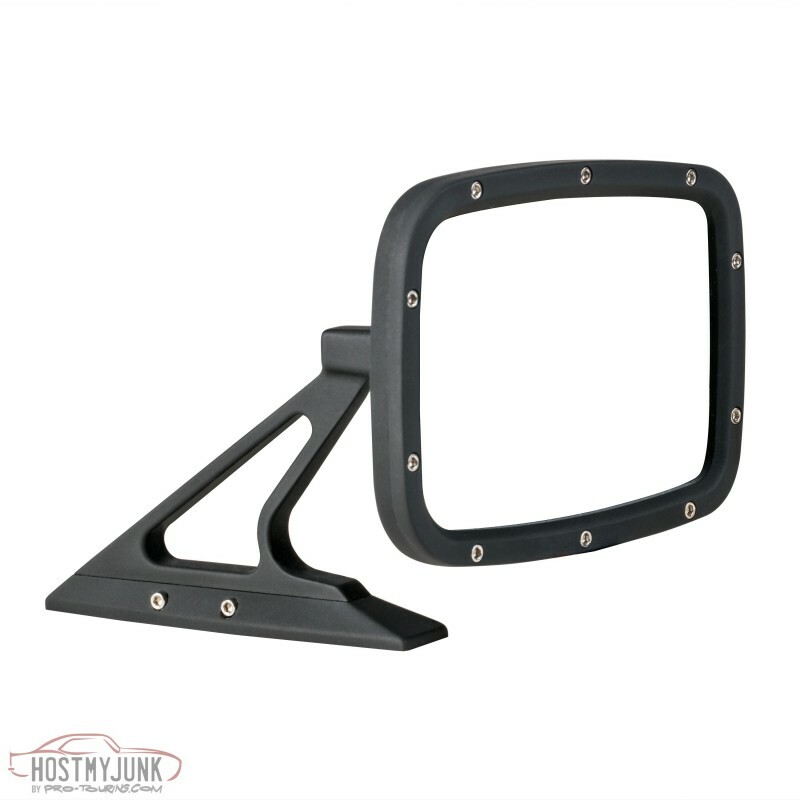 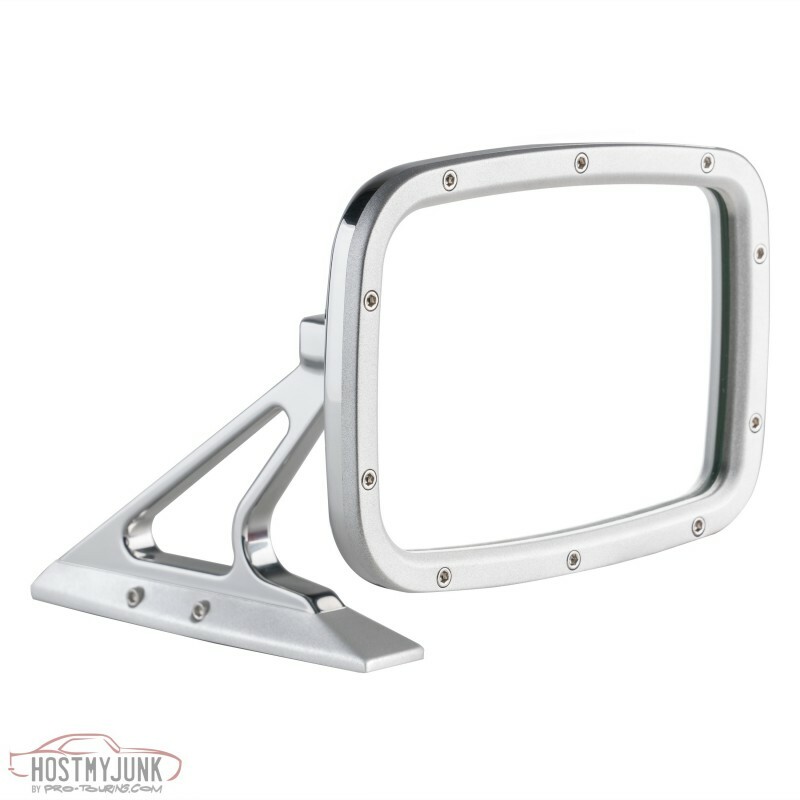 We also offer a matching Rear View Mirror, billet Fender Braces for 67-69 Camaro/Firebird and Headlight Rings for all GM 5 3/4" headlight rings. 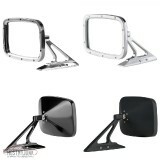 Please contact me directly for any questions regarding any of our products and for ordering. 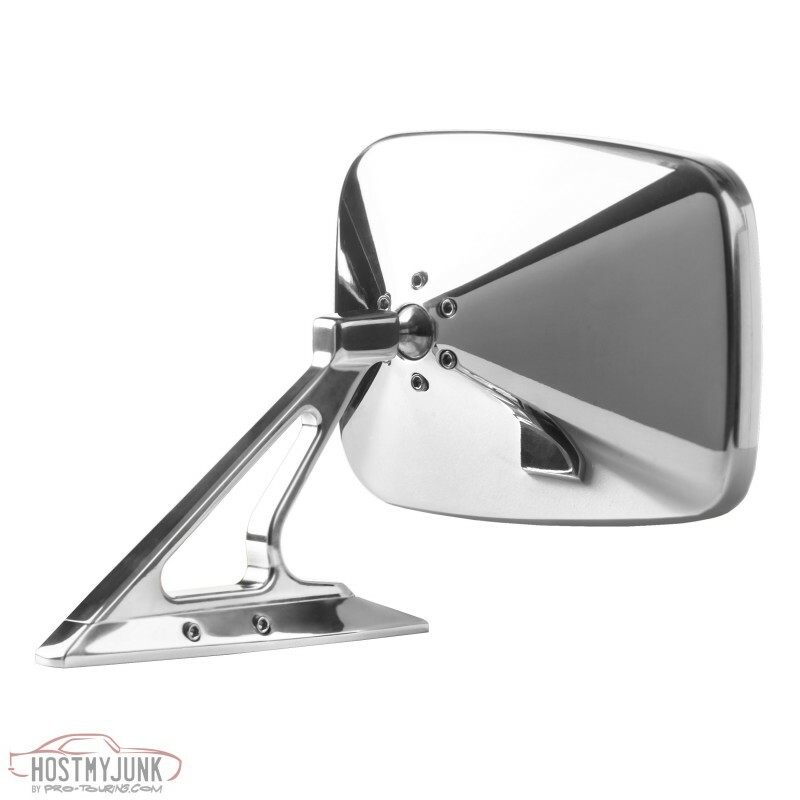 These mirror are now in stock and ready to ship.